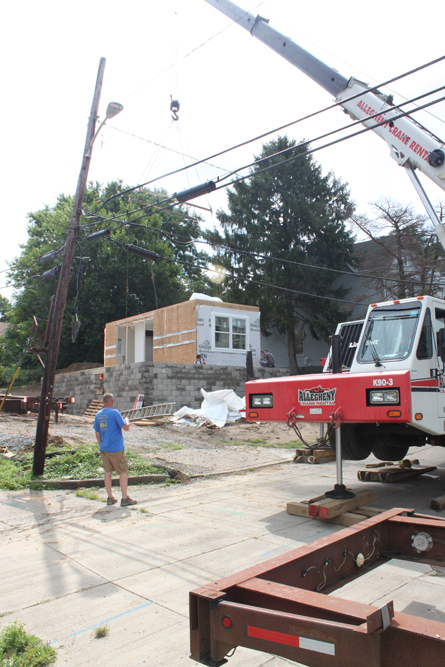 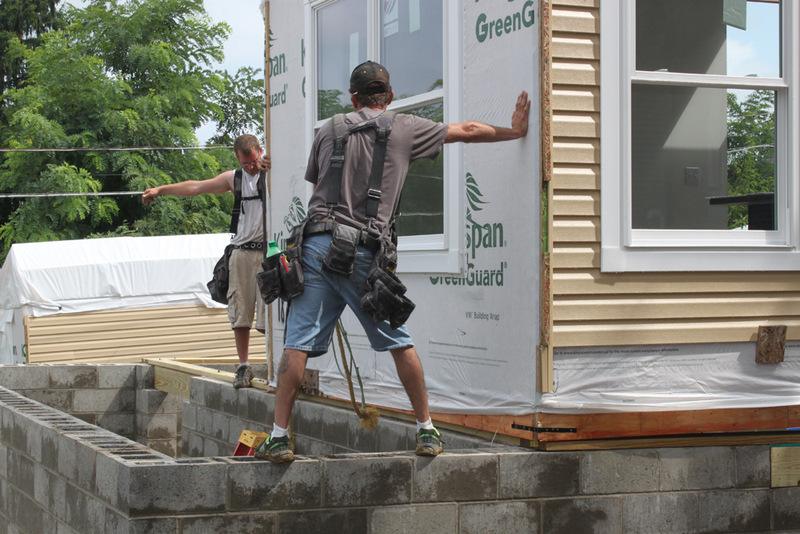 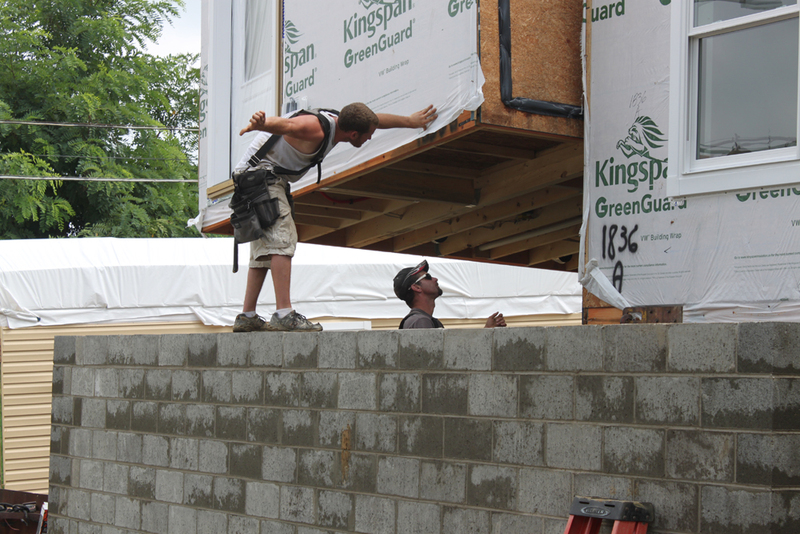 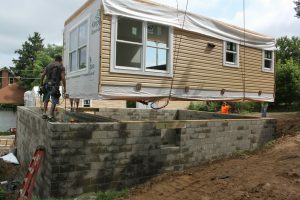 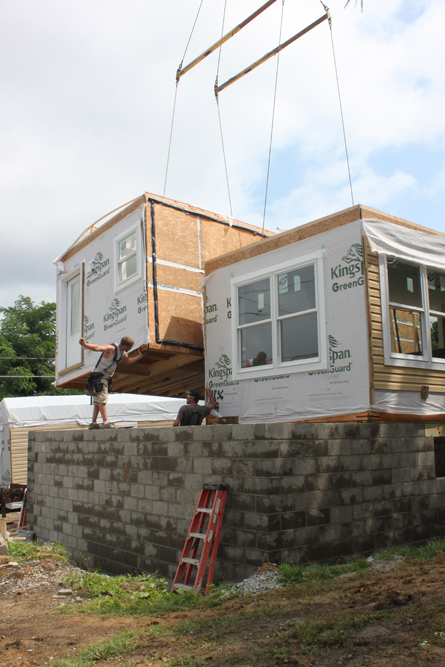 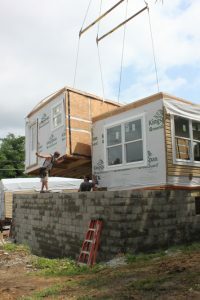 Crews from Structural Modulars Inc. of Strattanville, Clarion County, and Disaster Restoration Services of Pittsburgh on July 24 began assembling a new home in the 900 block of Graham Avenue in Monessen. 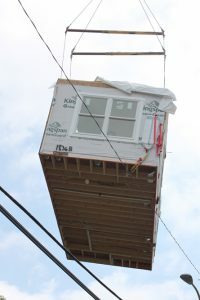 The majority of the three-bedroom, two-story house was constructed off-site and final construction will be completed by local crews in about 30 days, weather permitting, said Rick Dunn, senior construction manager for Mon Valley Initiative. 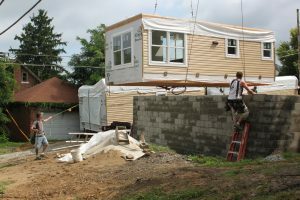 The house replaces an older frame house that had to be demolished due to mine subsidence in the area, Dunn said. 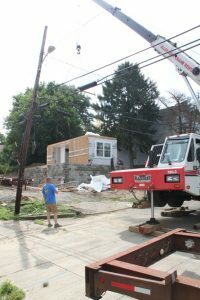 The mine void was stabilized by the Pennsylvania Department of Environmental Protection before construction began, he said. 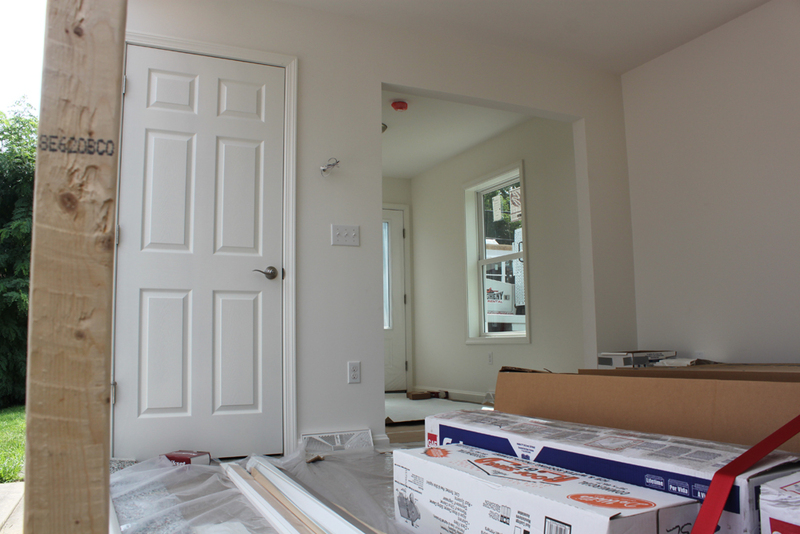 For more information about this house or any home available for sale by Mon Valley Initiative, call Patrick Shattuck, MVI real estate development and community outreach director, at (724) 565-8040 or (412) 464-4000.